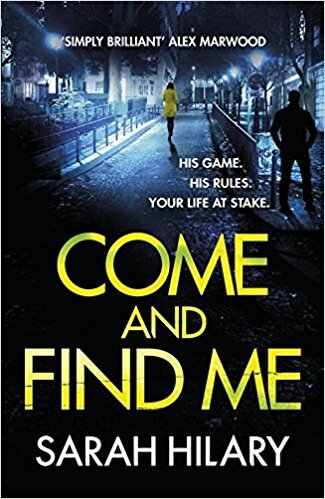 Sarah Hilary’s fifth novel in the DI Marnie Rome series, Come and Find Me, follows a group of police detectives engaged in solving the ongoing case of a vicious killer, Michael Vokey, an escaped prisoner who is suspected to be a deadly danger to everyone who comes across his path. With his two infatuated admirers as the best shot at finding his whereabouts, Marnie goes on a hunt to track down the what makes the dangerous Vokey so intriguing and why is everyone so afraid to speak. As each chapter shifts between the first-person narration of prison inmate Ted Elms and the descriptive third person narration of DI Rome, this allows the reader to uncover pieces of the puzzle carefully, slowly and with a constant building of tension. Hilary’s mesmerising prose is appealing to the eye and she brings the reader straight into the depths of the world of Cloverton from the very first page. One of the most compelling aspects of her storytelling, however, is the way in which she grabs the reader until, just when they are at the point of absolute captivation, she quickly stops and switches POV and thereby draws the reader into a world they never want to leave. This novel has very cleaverly observed and researched. A fact proven by the autthor’s carefully presented version of events behind closed doors at the station, whilst compromising the personal lives of the officers, creating an authentic portrayal of Police officers as genuine people who connect with their cases. Sarah Hilary tackles dark and difficult issues yet also provides a beautifully descriptive narrative which transports the reader into the seedier side of downtown London so that this fast paced, eerily descriptive book is bound to feed any crime fanatics craving. With an unexpected plot-twist and a major cliff hanger of an ending, here is a writer determined to make sure you will be the first person in line to pick up the next instalment of this superb series.